It’s now official: Miguel Ángel Jiménez is the oldest winner on the European Tour. It took two years after his last win (Omega European Masters in Switzerland) but, with 11 of his 18 Tout titles having come since turning 40, few were surprised when the 48-year-old Málaga-born star triumphed in the UBS Hong Kong Open. It was his third victory in the event (following 2005 and 2008) and meant he was six months older than Des Smith when the Irishman won the 2001 Madeira Islands Open. 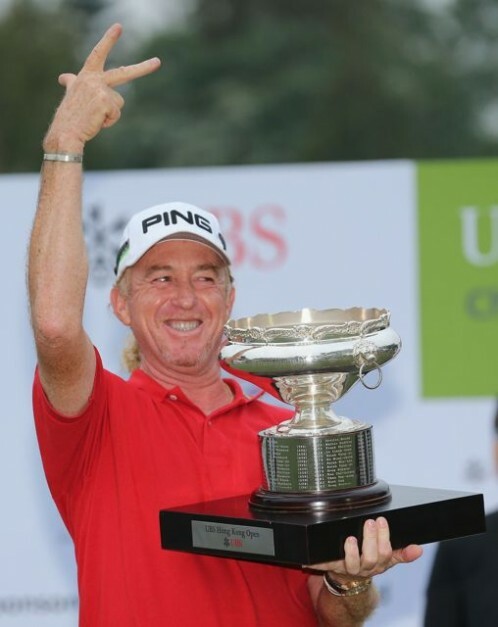 “It’s very nice – I hope it’s not the last one,” joked the Spaniard, who carded a closing five-under 65, for a 15-under total at Hong Kong Golf Club and a one-shot victory over 40-year-old Swede Fredrik Andersson Hed, who had made 14 trips to the Qualifying School before winning his first (and to date only) European Tour title in Italy two years ago. “I really love this place. I love the golf course – it’s a great golf course where you have to control the ball very well, it’s not a matter of distance,” said Jiménez, who did not card a single bogey over the last three rounds (and just two in 72 holes, with 17 birdies). Asked about the secret of his longevity (this was his 597th Tour start), he said, “This is maybe the olive oil in my joints, and the nice Rioja wine and those things keep you fit and flexible, no? The most important thing, I do what I like to do in my life, and golf has given me all of this pleasure. Winning now, as you say, the oldest winner on the Tour, 48, my goodness, 24 years I’ve been on the Tour – I’ve been around. 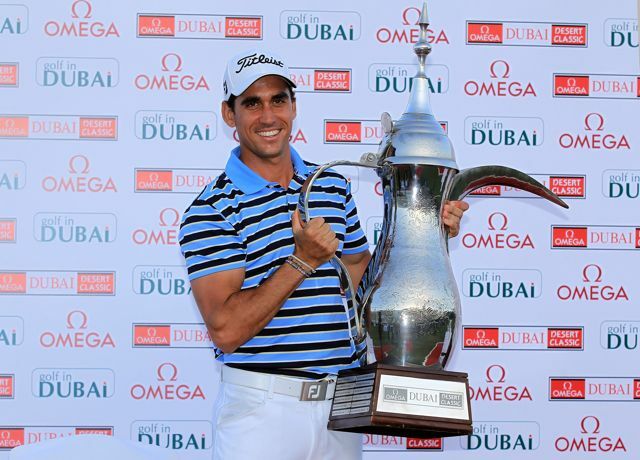 The win extended his own record for most victories by a player aged 40 and over (12 of 19 overall); created a new record for European Tour victories on Asian soil (six, passing Ernie Els’ previously shared best of five); was the third by a Spaniard in 2012 following Rafael Cabrera-Bello (Omega Dubai Desert Classic) and Gonzalo Fernandez-Castaño (BMW Italian Open presented by CartaSi); and was the 166th Spanish victory in European Tour history. This entry was posted in Articles, Jimenez, On facebook. Bookmark the permalink. Both comments and trackbacks are currently closed.